Last week was wet: several rainy days, and the rain was often heavy. Still, I managed to get in rides on Wednesday, Friday, and Sunday. On Friday a 15-20 mile ride turned into 27, because the morning weather was so nice I didn’t want to stop. I was flirting with a soaking, but the rain held off until I got home. I rode down some of Pratt Corner Road, a dirt road in Leverett that is pockmarked with potholes. In the dappled sunlight filtered through trees, it can be hard to distinguish potholes from shadows. I managed to avoid one of them, but I hit one square on that was about the size and depth of a bathroom sink. Fortunately, strong wheels built by Peter White and fat tires absorbed the impact without damage. Sunday was fun. Saturday night some friends asked if we wanted to hang out with them and their adorable daughters at Look Park, in Florence, on Sunday morning. I cycled over to the park, where Jennifer and her parents joined me. Most of us went on the little train, except for the 2-year-old, who doesn’t like it, and her mother, who stayed behind with her. We then did a circuit on pedal-powered paddle boats, which are a lot harder to pedal than a bike: the pedals were too close to the seat for me, my sandals were a little too wide to fit comfortably, and the water resistance was too high to maintain a good cadence. But it was still fun. Then we went to the swings and monkey bars, where I occasionally helped the 4-year-old swing from bar to bar. She’s being treated for Lyme disease; the treatment is apparently working, because she was full of energy. After lunch at the grill, which wasn’t very good but had the advantage of being on site, we all went our separate ways. When I got back to my bike, I discovered that my Take-A-Look mirror, which had been clipped to my sunglasses, was gone. The sunglasses were still there, so either I knocked it off when moving the bike to the rack, or a curious kid grabbed it. Despite not having my mirror (a safety device that I think is much more important than a helmet), I took an indirect route home, north through Williamsburg, Whately, and Deerfield, then back south through Sunderland, Amherst, and Hadley. I rode a stretch of Long Plain Road in Whately that I hadn’t visited before. I wanted to reach 100 miles for the week (Monday to Sunday), so once across the bridge I meandered back and forth. That also allowed me to get in another hill. I haven’t been as diligent about climbing them as I should be, with D2R2 coming up in a little over two months. The weather was lightly overcast, and I felt a few drops of rain, but nothing more. There was a southerly wind that I was riding against once I crossed the bridge, but I did better against it than in the past. All this riding is slowly making me stronger. If I’m going to attempt the Shelburne Falls 200K next Saturday, I need to get in a good training ride today. It’s sunny with temperatures in the mid-40s and northerly winds 5-15 mph. I’m planning to ride north-northeast through Leverett and Wendell to Warwick, then head west to Northfield and back south via Erving, Montague, and Sunderland. We’ll see how it goes—I’ll post an update later. I did the ride, and a few extra miles to round it out to 70. Left home a couple minutes before noon, and returned at about 5:50 p.m. I spent 5 hours and 24 minutes moving, plus another half hour stopped, all told. The first half of the ride was largely uphill, from Amherst through Leverett, past Lake Wyola in Shutesbury, then up to Wendell Center. I had a downhill run to Wendell Depot, followed by a ride up Moss Creek Road to Laurel Lake. After a brief circuit of “downtown” Warwick, I headed west toward Northfield. A couple miles west of Warwick, I reached the second half of the ride: a long downhill into the center of Northfield, followed by a mostly flat ride home, with a few hills to keep my legs limber. It was a gorgeously sunny spring day, starting out chilly (temperatures in the low 40s) but warming up into the mid-50s as I continued, despite climbing up into the hills. There was a 5-10 mph wind from the north, though, which made the first half of the ride more challenging than it would otherwise have been. The wind was at my back for most of the ride home, but it had diminished in intensity. I had a slice of bread with peanut butter just before leaving home; while riding I had a peanut butter sandwich, a Clif bar, and 40 oz. of regular Gatorade that I picked up at the Wendell Country Store. All told, I probably consumed about a thousand calories before and during the ride, which is not too much less than the maximum I can digest. Despite sucking down sugar water, my tummy was feeling empty by about mile 55. I had forgotten that feeling from longer rides—this was my longest ride since May 2010. Now I need to decide whether to do the Shelburne Falls 200K next Saturday. My legs were tired yesterday but only slightly sore in a couple spots. I cycled to work today and felt OK, though going into the wind was a little tougher than usual. But I’m not sure my rear end is up to another 55 miles in the saddle. The last time I rode a 200K, I built up to it more gradually, with 50, 60, 70, 80, and 100-mile rides before the big one. Photographs are in a set over at Flickr. 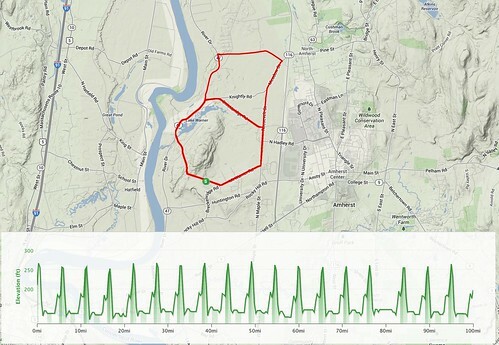 And a map with some statistics is available on Strava. 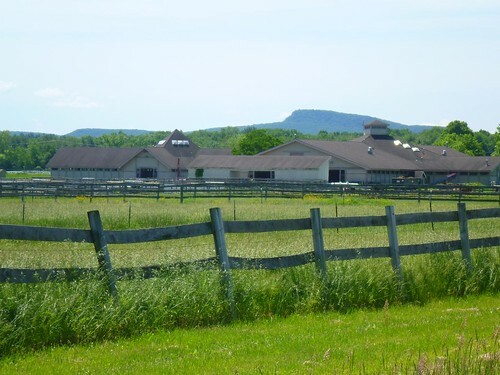 Western Massachusetts has moved into maple sugaring season, also known as mud season: that period between winter and spring when the days get well over freezing but the nights are still cold. The sap runs in the maple trees, flowing out through taps into collecting buckets or plastic hoses that lead to barrels of sap. The sugar shacks are at work, belching out smoke as the sugarers boil 40 gallons of sap down to a gallon of syrup. And the snow has mostly melted, at least down here in the valley, soaking the earth and leaving huge swaths of mud wherever the ground vegetation isn’t firmly established. Work has been busy, but I’ve been able to shoehorn cycling into my schedule. I did some rides outside in January. February’s “rides” were all inside on rollers, including one 30-mile, 2-hour bout. Since March 1 I’ve been able to ride outside again, including a trip up to Lake Wyola and another to Conway, where the snow is still thick on the ground. I’ve put a few snapshots from recent rides up on my Flickr site. I’m still building up my Boulder All Road bicycle. 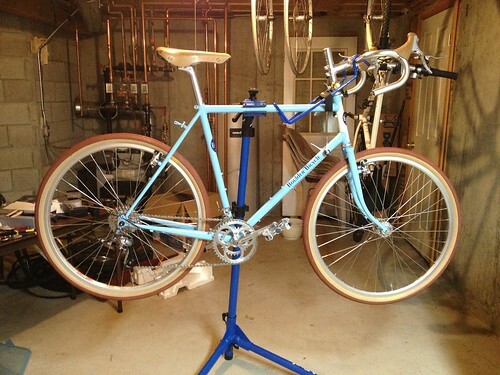 It will be rideable after I add the bottom bracket, crankset, pedals, derailleurs, and brake and shift cables. Then I’ll need to finish it off: install fenders, front rack, and the lights; wrap the handlebars; and, after riding for a while, fine-tune the handlebar height and cut the steerer, which is now absurdly long. And finally, I’m still losing weight, slowly but surely. Count calories, so that I take in less energy than I expend. I’ll use Myfitnesspal.com and its associated iPhone and iPad apps to calculate my calorie target and track my daily calorie intake. Exercise regularly, and use my Garmin Edge 800 and ForeRunner 410 to track calories expended in cycling, hiking, etc. I’ve been exercising regularly for years, with occasional breaks during vacations and illnesses, but I am going to add regular interval training and weightlifting. So far I’m two weeks in and the process seems to be working. I also want to become a faster cyclist and participate in some organized rides this year. To attain that goal, I need to train for speed and endurance, but it would also help to lose weight—especially in hilly western Massachusetts! I picked 170 lbs. because I felt pretty good when I weighed that amount and it’s a reasonable goal for a year. I won’t necessarily stop there. I’ve weighed as little as 138 lbs., or possibly less, in my adult life. Having been a fat kid (“husky” was the preferred euphemism back in the day) and a fat college student, I decided to do something about my weight and fitness after graduating from college. I had never been completely sedentary—as a kid, I did a lot of hiking and backpacking in the Boy Scouts, and in college, I walked all over Hyde Park. But my weight kept creeping up, and after an attempt to jog a few blocks failed in less than a hundred yards, I decided to get serious losing weight and getting some aerobic fitness. My approach was simple: get more exercise. As an employee and then grad student at the University of Chicago, I had access to the university’s pool and field house, so I started swimming and some moderate weight training. After a couple of years I’d taken off a number of pounds, and I’d switched primarily to running. I didn’t bother to count calories or diet. I’m not sure what my starting weight was—perhaps 180 lbs. ?—but by the time I started keeping a running log in November 1994, I was down to 138. I also had a morning pulse that was usually between 48 and 52, and sometimes as low as 46. I was running 10-20 miles a week. I felt great. My only problem was finding off-the-rack trousers that fit; I needed a 28 or 29 waist, but many shops didn’t carry sizes under 30. In the late summer of 1995 I moved to Berlin. There, I kept running for a while, but my knees started to give me trouble. I bought a bike for commuting but didn’t do much serious aerobic exercise on it. I started to put on weight. Back in Chicago in 1996-97, I walked but don’t remember doing much else. Then I got my tenure-track job at UMass Amherst. We moved to Massachusetts in July 1997, and though I bought a bike and rode it occasionally, I didn’t really get back in the habit of exercising. I started running again in the fall of 1999 but had knee and ITB problems. That semester, my weight crept up from 168 to 174. It continued to increase slowly, until reaching a high point in the summer 2008, after my father’s death, when I weighed about 223 or so. Something had to be done. What I did was to start cycling regularly. Exercise had worked in grad school—why not now? I did start to slowly lose weight, especially in the spring of 2010, when I was training for a 200K bike ride, doing lots of long, moderately paced rides in the hills. By the time I moved to France in the fall of 2011, I was down to about 205. Then, in spring, summer, and fall of 2012, I put on 10 lbs., despite exercising regularly. Evidently, something had changed: either my eating habits had gotten worse, or my metabolism had shifted. I needed a new plan: the one I mentioned above. We’ll see how it goes. My current research project is a book tentatively called “Nature’s Bible: Insects in European Art, Science, and Religion from the Renaissance to the Enlightenment.” I’m working on it during my sabbatical in 2011-12, including a six-month residential fellowship at the Institut d’Études Avancées in Paris. What follows is the description I wrote for a grant proposal. At first glance there is a puzzling imbalance between the title and subtitle of Jan Swammerdam’s book The Bible of Nature, or the History of Insects reduced to distinct classes (written in the 1670s but not published until 1737). This book project aims to resolve the puzzle: to show how the intense interest that early modern Europeans took in insects, from the late Renaissance to the Enlightenment, was not merely an episode in the prehistory of entomology but, in fact, drew together powerful currents in what we now think of as the distinct realms of science, art, and religion. One of Swammerdam’s near contemporaries, the eighteenth-century German Protestant theologian Friedrich Christian Lesser, was also surprised by Swammerdam’s title, but the nature of his surprise reveals the gap between eighteenth-century perspectives and our own. In his Insect Theology, Lesser wrote that Swammerdam’s book should have had a more precise title: “For the Bible of Nature includes everything that has been observed about the visible world….the history of insects comprises only a chapter of the Bible of Nature.” Lesser’s objection was not that Swammerdam brought together religion and insects—Lesser’s own book, after all, was an Insect Theology, and he also wrote a Rock Theology and a Shellfish Theology. It was that Swammerdam overweeningly took the part for the whole. But Swammerdam might have responded with the Plinian maxim with which Lesser opened his own book, “Maxima in minimis”: Nature reveals her powers nowhere more clearly than in the smallest creations. Other early moderns would agree: the self-taught court painter Joris Hoefnagel, who placed insects along with rational creatures under the element of fire; the Dutch statesman Constantijn Huygens, who inherited some of Hoefnagel’s works; the German painter Maria Sibylla Merian, who traveled with her daughters to Suriname in order to study tropical insects and their metamorphoses; the Italian anatomist Marcello Malpighi, whose treatise on the anatomy of the silkworm was written at the request of the Royal Society of London and published by its press in England. They are but a handful of the hundreds of early modern Europeans who observed insects, collected them, painted them, described them, exchanged them or their descriptions, and published works that blended the realms of art, science, and religion. Nature’s Bible will address a broad chronological range: roughly two centuries, from the late sixteenth century through the middle of the eighteenth. It will be a cultural history that brings together the history of ideas, the history of science, art history, the history of collecting, and the history of religion, and I hope that scholars and readers in all those fields will read it with pleasure and profit. But it will not be sprawling or amorphous. The guiding thread of its narrative will be not only insects but the connections that bound together early modern students of insects. Beginning with sixteenth-century natural history and the revival of interest in the works of Albrecht Dürer, I will show how insects, knowledge about them, and the symbolic meanings elaborated from them circulated throughout early modern culture. Just as insects are an essential, if often invisible, part of the earth’s ecosystems, so too were they a central part of early modern cultural ecology. By tracing the paths taken by the cultural circulation of insects, and the ways that knowledge was transformed as it circulated, I intend to show how the boundaries of early modern categories of thinking—art, science, religion—remained permeable even as they were being strengthened. Indeed, in the middle of the sixteenth century the terms “art,” “science,” and “religion” are in many ways anachronisms. By the middle of the eighteenth they were not; they had taken on many of their modern aspects. Yet even in the heyday of Enlightenment, the Dutch civil servant and amateur anatomist Pierre Lyonet could produce an annotated translation of Lesser’s Insect Theology, the annotations serving to correct the entomological errors that Lesser had made. August Johann Rösel could produce his Monthly Insect Entertainment, published in German and featuring detailed engravings of insects along with lengthy descriptions of their behavior, for an audience that included pastors and physicians, collectors and naturalists. Even as entomology was crystallizing into a distinct discipline—the word was coined in 1745—insects could cross cultural, social, and disciplinary boundaries. Jennifer and I took a trip to see the remains of a Roman villa near the village of North Leigh. Getting out of Oxford by bike is rarely picturesque. This time we rode north to the A40 and followed the cycle path along it for a few miles before turning off onto quieter roads. The traffic was irritating but the path itself was generally decent: not wide enough to ride two abreast, but generally in good shape. I’d happily use it again to get quickly to the northwestern part of Oxfordshire. By the route we took, the villa was about 11.5 miles from Oxford. It was a quarter mile from the road, down a rough unpaved track. We cycled parts of it and dismounted for the rockiest bits. The ruins were impressive and included a restored mosaic protected by a modern structure. Unfortunately the door was locked so we had to admire the mosaic through the windows. Afterwards we cycled another 5 miles to the rail station in Charlbury. Jennifer took the train back to Oxford, while I rode back. After the first 4 miles of backtracking, I took a different route—one we had taken last year in the other direction, through North Leigh, Eynsham, and Botley. Most of the way there was little traffic. It was exhilarating to cycle along in the sun, with a light wind sometimes helping and sometimes hindering, with the occasional steep hill offset by a general trend downward toward Oxford. I haven’t felt such sheer joy in cycling since leaving the US. Our tour in the Netherlands was fun, and I’ve had some good rides in Oxford before this, but yesterday’s return was simply thrilling. Our ride to Charlbury was about 16.5 miles, and my return about 18.4, for a total distance just shy of 35 miles. I reset the GPS in Charlbury, so the ride is recorded in two segments: part 1 and part 2. I haven’t blogged here much lately (obviously). It’s been a low priority compared with work and with planning to spend 14 months overseas. 2. We hosted our first WarmShowers.org guests this July—a couple of South Korean cyclists who have been traveling around Europe for four months. We put them up in the Oxford college that houses our summer program and took them out for a couple of pints and a pub dinner. Lovely, charming people. I admire their gumption in traveling from Istanbul to Spain, then over to Ireland and England. I’ll be doing some more cycling this summer and over the 10 months, from Sept. 2011 through June 2012, when I’ll be based in Paris. I’ll try to blog the interesting bits here. And ultimately I hope to turn this site into more of a home on the Internet range, if time and technical skills allow. 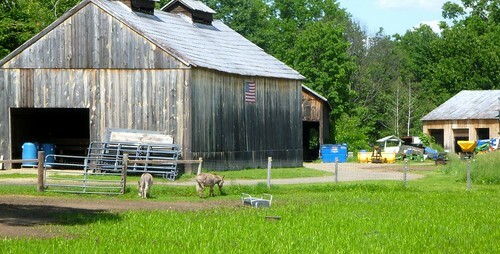 The Pioneer Valley is great for cycling. On this page I intend to post some of my favorite area rides. Though I usually leave from my house, I’ve set these rides up so that they start and end somewhere with a reasonable amount of parking. 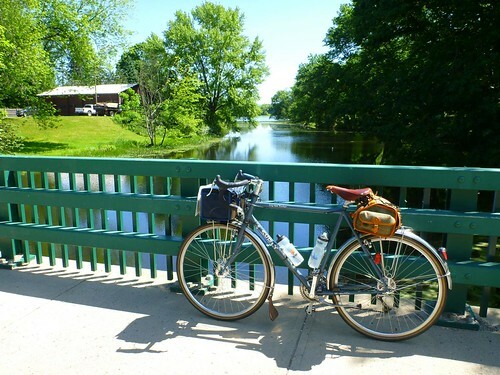 40-mile loop from Northampton to Conway, Deerfield, and Sunderland. This loop begins and ends at the parking lot at the western end of the Norwottuck Rail Trail, off Damon Road in Northampton. It begins by following the Northampton Bike Path to Look Park, then heads up through Williamsburg and Whately, past a couple of Northampton’s reservoirs, to the hill town of Conway. Then it’s downhill all the way to the Connecticut River. 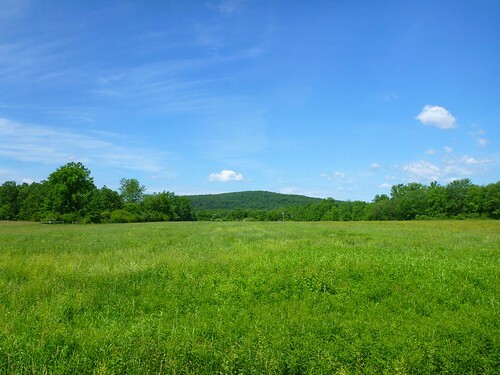 On the eastern side of the river, the route heads through Sunderland and Hadley along the flood plain of the Connecticut, past fields and tobacco barns, finally picking up the Norwottuck Trail for the short trip back across the river to the starting point. There’s a restroom at Look Park and a couple of small groceries in Sunderland. 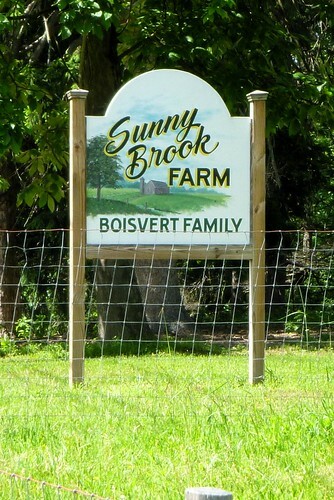 Around mile 30.5, Smiarowski’s farm stand has soft serve ice cream and sandwiches in season (roughly May through September). After a long, harsh winter in New England, I’ve been back on the bike. My Surly Long Haul Trucker is still in the basement on rollers, where it has been since December, but I’ve set up the New World Tourist for my outdoor rides. When I’ve ventured onto muddy dirt roads, the NWT drivetrain gets a little crudded up, since the medium-cage rear derailleur is close to the ground, but otherwise it’s a fine bike. I recently moved the handlebar bag off of the handlebar onto a Klickfix adapter that’s attached to the NWT stem riser, which makes the handlebar less cramped and the steering a little smoother. I’ve been riding rollers all winter (except for the holiday trip to Michigan), but I haven’t been building up endurance on longer rides due to the snow and to my normal pattern of being overcommitted at work. My longest rides this year have been 30 and 33 miles. The 30-mile ride was on a rented hybrid in Charleston, SC—not the most comfortable bike, but the terrain was flat. The 33-mile ride involved a little climbing up to Leverett, including a couple of short steep (10-12%) hills, but no serious sustained climbs. In short, I’m not sure that I’ll be ready for the Berkshire Brevets 200K on April 30. If I do want to try that, I need to get in at least a couple long rides, and ideally at least one of 80 miles. Whether that will work…we’ll see! Of course I’ve been back on the bike ever since getting back from Ireland. I did go four days without cycling earlier this month due to a trip to Buffalo over the long weekend; I took my New World Tourist but didn’t have a chance to ride. Otherwise, I’ve been cycling regularly, with 1 or 2 days off from time to time. But a lot of that has been commuter cycling: the 6-mile round trip to work, with occasional jaunts elsewhere. I didn’t end up doing the Great River Ride in any of its variants because I spent that weekend visiting my stepfather in the hospital and keeping my mom and sister company. Today I took my longest ride since my 200K in May. It was a cool, partly sunny day (temperatures in the mid-50s F, about 13 C). 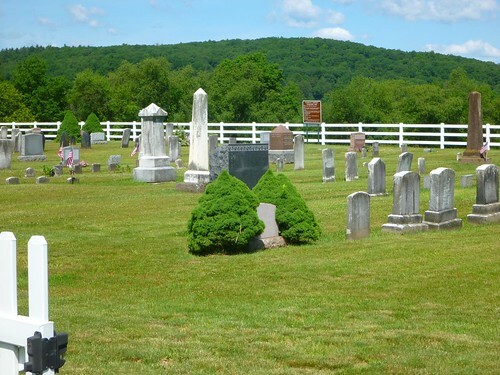 I rode over Mount Warner and then north on Route 47 until its end in Montague. I then rode up North Leverett Road to Lake Wyola, and thence on Locke’s Pond Road to the center of Wendell. I paused there for five minutes to eat a clif bar and swig some water. Then I took Montague Road toward Millers Falls. I had to use my granny chainring on one hill, but I was rewarded by a thrilling descent. From Millers Falls I took Route 63 back to North Amherst, and then headed home on Meadow, Roosevelt, and N. Maple. I was not a speed demon, but I did respectably given how long it had been since I did a long hilly ride (2503 feet of vertical climbing, according to my altimeter). It’s not much of a plan, actually, but I am going to try to do a couple of 200K brevets in the spring, and maybe a 300K if the 200Ks go well. Randonneurs USA has published the 2011 brevet schedule, and the Berkshire Brevets schedule includes a 100K populaire on March 20, followed by 200K brevets on March 27 and April 30, and 300K brevets on April 9 and May 14. 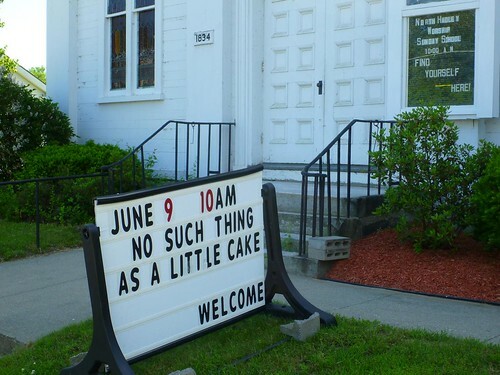 (Their 400K is on June 4….) I might not do the populaire if I’m visiting friends in DC that week, but I’ll aim for the 200Ks at least. I know I can do that distance. Between now and then, I’m planning three weekly workouts: an hour at tempo, 45-90 minutes of intervals with substantial rest, and one long slow ride for endurance. If weather permits I’ll ride outside, but odds are that much of this will be in the basement on rollers. When February rolls around I’ll try to get in some longer rides on the road: riding on rollers for more than 2 hours is a real drag. And I’ll try to add a weekly hill workout. My hope is that the intervals and tempo rides will help me get my average speed up to something respectable. That’s the plan, anyway! We’ll see how it measures up to the reality imposed by the demands of work and the holidays. I finished my term as Graduate Program Director in my department, so I’ve gone back to teaching two courses in the fall. I’ve taught both my regular courses before but I’ve revised them both extensively, so there’s a lot of work there. I’m also teaching a new first-year seminar on “People and Insects”—fascinating subject, if I may say so myself. That’s connected to my new book project on insects in European art, science, and theology, c. 1580-1750. I’m currently applying for fellowships to support a sabbatical research year in 2011-12 to work full-time on the book project. On the administrative side, I’ve taken on the co-directorship of our university’s new Digital Humanities Initiative, which mostly involves writing budget memos and coordinating events at the moment. My co-director, Donna LeCourt, has done most of the heavy lifting so far. On the bobble side, my stepfather had a serious accident a couple weeks ago while helping to dock a boat, and he’s been in a trauma ICU in Buffalo, NY, ever since. I’ve made one trip there so far and am planning another this coming weekend. My cycling has been affected accordingly. I’ve done 75-125 miles per week since getting back, including a daily commute as much as possible. I had been thinking about doing the 170K/112 mile Great River Ride on October 12; I might still do that, or I might do the 62- or 80-mile options. The 62-miler would be a cakewalk; 80 miles would be possible but a lot more work, and the 112-mile ride would be a real challenge. My longest ride this fall has been about 40 miles, and I’ve done 75 miles over two days. I probably can’t get in another long training ride before Oct. 12, so what I’ve done is what I have to work with. It has a narrative, with perhaps too much detail, along with a bunch of photos of gorgeous Irish landscapes and some quirky things I saw during the tour. Indeed, what next? I’ve done a 200K ride, and while it wasn’t a sanctioned brevet, it was comparable. I did it within the overall time limit and arrived at control locations when they would have been open. In short, I achieved the first goal that I set myself over the holidays: train for a brevet series. And I did, unofficially at least, the first element in the second goal: attempt the series. I probably could have tried the 300K yesterday, though the weather was nasty enough that I’m content not to have done so. I’ve learned over the course of the spring, though, that my unsystematic training “regime” was not ideal for riding brevets. I got the miles in, and my long weekend rides prepared me for the distance, but I didn’t work systematically on speed and hill climbing. As a result, I didn’t ride as fast on the 200K as I had wanted, and the hills took more out of me than they should have. I did figure out what works for me nutritionally. The $64 question is whether I continue. I don’t think I can afford the time required to ride brevets this summer, except maybe a 200K in late July or early August if it’s not too far from Oxford. I might see about a 200K back in the States in the fall, but the Berkshire Brevets isn’t doing one, so it would mean traveling. If I continue to ride 30-75 miles on most weekends, plus shorter rides during the week, I can maintain the base required to train for and ride a series in 2011. That might be a more reasonable goal, perhaps with the Great River Ride 170K and another century in the fall to keep on top of long-distance riding. In that case, I’ll work on speed and hills this summer. It looks like I can ride 3 miles from my Staverton Rd. flat to Wytham and then climb a serious hill. I could even stop at the Trout for a pint on the way home! Of course I should also be working on losing a little weight, which suggests that the pint might not be such a good idea…. I’ll keep posting occasional updates and ride reports here, just in case anyone is reading (though mostly for my own sake). I was disappointed at having to scratch myself from the starting list for the 200K on April 24. So I decided to ride a solo 200K on May 1, just to prove to myself that I could do it and that I wasn’t using my injury as an excuse for chickening out of the brevet. I made it within the allotted time frame had this been a sanctioned brevet. I felt reasonably good by the end, despite some evil hills. And I took a few pictures over the course of the ride. Now, for the gory (or boring) details…. As much as possible I wanted to follow the Berkshire Brevets route for the Shelburne Falls 200K. But I wanted to start from home. That meant cycling southwest to Easthampton. I missed a couple of small hills by doing that, though I compensated somewhat by beginning the ride by going up and over the shoulder of Mount Warner. 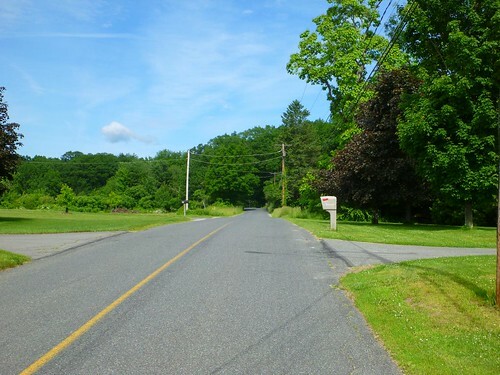 After heading to Northampton via the Norwottuck Rail Trail, my planned route took me down Route 5 to the Manhan Rail Trail, then along Pleasant St., Route 10, and West St. to Oliver St., where I would pick up the official route. I would ride that up to Shelburne Falls and then through Colrain, Mass., Halifax, Vt., and Charlemont, Mass., back to Shelburne Falls. Then it was down to Williamsburg and back to Easthampton. I would split off from the brevet route at Loudville Road, head downtown, and then follow Route 10 back to Northampton. My goal was to hit the road by 8 a.m. But I lingered over breakfast and the paper and then puttered around a bit. It was 8:25 when I rolled down the driveway. A quick up and over Mount Warner, then south along Route 47. The rail trail took me west and across the river. After leading them under the railroad viaduct on North St., they peeled off right and I waited for the light and headed south. A short flat ride and I was soon at the Manhan Rail Trail. Few people were on it, fortunately. I chowed down on the first Clif Bar of the day, then left the trail. Passing the Eastworks building, I decided it was time for a pit stop (two cups of coffee…). I also filled up my bottle and picked up a couple 20-oz bottles of “low calorie” (dilute) sports drink. A few more miles and I was at the official route. That took me on the first unfamiliar stretch: Oliver St. and then Park Hill Rd., up a short hill and past cattle farms. At Florence Rd. I was back on familiar turf: I headed north to Pine St., then through the center of Florence and north on Maple St. Maple merged with North Farms Rd., and then the fun began: the first serious climb of the day. It wasn’t long but parts were very steep. Near the top I paused to photograph a fence made out of old bicycle wheels. After that, the next ten miles were a breeze: a slight climb on Mountain St., then a descent, with a slight climb in the middle, to Whately. I ate another Clif Bar. After Whately I was on unfamiliar roads again: North St., mostly flat with one nasty little rise, and then S. Mill River Rd., also mostly flat. That ended at 116 and the climb, at first gentle and then steeper, to just east of Conway. Then a quick descent into the town center. 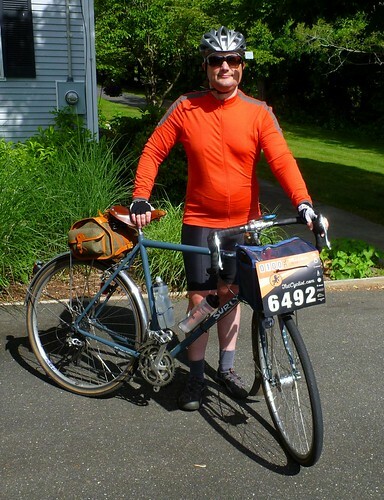 From Conway, I started north on Shelburne Falls Rd., which I had driven before but not cycled. I passed Poverty Hollow, named by people who had no use for euphemisms. I knew a hill was coming in a few miles, and I was not disappointed. Down into the low gear for a mile…. After that, some rollers, gradually trending downward, took me into Shelburne Falls, where I arrived about 12:10 p.m. I paused for an obligatory bike photo next to the Deerfield River, then crossed the river for a quick trip to the grocery store, where I acquired Gatorade and a turkey sandwich. After lunch on a bench outside the tourist office, followed by another pit stop, I headed north on Route 112. Though I had driven 112 before, and the stretch of Route 2 that I would later hit, for the next 37 miles I was on new cycling ground. The road rose gradually through Colrain; then I crossed the border into Vermont. There was a 19th-century boundary post in front of a lovely garden; I chatted for a moment with the owner and her friend, who were out tending the plants. The gradual rise continued, steepening somewhat in places. Just after the halfway mark, I turned left onto Route 8A (Stage Rd.) and nearly wept. There was a mean hill there, the meanest, it would turn out, of the whole ride. The first half mile was 12%. And though I had been eating and drinking continuously, I felt low on energy. Shifting down into my granny, I gritted my teeth and headed up. And stopped for a rest. And headed up again. After a couple more pauses, I made it to more level ground. The climbing would continue, but not as steeply, except for one further spot where a small dog tried to give chase. Fortunately, he didn’t want to go up the hill either. Unlike me, he didn’t have to. Fortunately, miles of downhill and level road followed, marred only by potholes and a few sharp corners. I munched on part of a Clif bar when the road permitted. I crossed over the newly renovated Bissell covered bridge, then joined Route 2 to head back east to Shelburne Falls. Though heavily traveled, the road was in good shape with decent, clean shoulders, and it ran right next to the Deerfield River. I passed a few tourist traps and arrived back in Shelburne Falls around 3:50 p.m. This time I stopped for a proper meal at McCusker’s Market, where I got a BLT and a bottle of GUS soda. Bacon and mayo might not have been ideal for someone who still had 41 miles to ride, but I inhaled the sandwich and soda. After stretching for a bit, refilling my bottles, and calling home quickly, I hit the road again at 4:25. The climb out of Shelburne Falls wasn’t too bad, other than a nasty stretch shortly before a thrilling descent on the hill I had labored up several hours before. I hit nearly 45 mph, and that was without tucking in to reduce wind resistance—possibly a personal record. A quick trip through Conway, and then I was headed uphill again. This would be the last nasty climb of the ride, and I felt great when I conquered it. Downhill past the Northampton Reservoir, then the rollers of Webber Road, to rejoin Mountain St. in Williamsburg. I followed that to Haydenville, then took River Rd., Reservoir Rd., and Chesterfield Rd. SSW to Sylvester Rd. I munched a few Clif shot blocks for further sustenance. Then south into Easthampton, until I turned left onto Loudville Rd. and left the brevet route. After making it to downtown Easthampton I picked up Route 10 north. I was ready to be home, but even readier for something scrumptious, so I pulled over when I saw that the Tasty Top was still open, rumors of its demise notwithstanding. I got a kiddie-sized creemee (New England argot for soft-serve ice cream). No wonder kids these days are fat: it was bigger than the medium Dairy Queen cones of my youth. I ate everything above the cone in about half a second, it seems, then got back on the bike. A quick trip through downtown Northampton, followed by the Norwottuck Rail Trail to Route 47, and I was only a few miles from home. The hills on Huntington and Breckenridge felt ten times nastier than usual, but I made it over. I was so ready to be home that I braked going down Breckenridge instead of building up speed and aiming for a new record. I made the sharp turn onto Mount Warner and pulled up in the driveway, standing out of the saddle as I coasted to a halt in the garage. It was 8:05 p.m. I had a glass of milk as a recovery drink, then took a shower. Man, did that feel good! Then a few slices of frozen pizza from Trader Joe’s. I wasn’t terribly hungry, to be honest. After savoring a bottle of IPA, I went to bed, where I slept fitfully. I’ve learned in the last couple months that I don’t sleep well after long bike rides, so I wasn’t surprised. The next day I had minor soreness, especially around the outside and rear of my left knee, perhaps due to my preference for extending my left leg for support while coasting. I took a couple ibuprofen tablets over the course of the day. By Monday I was still a little stiff but otherwise feeling fine. Monday evening’s 14-mile ride started out stiffly but I loosened up after a few miles. It’s Tuesday as I write and I feel fine. I left home at 8:25 a.m. and returned at 8:05 p.m.: 11 hours 40 minutes total. 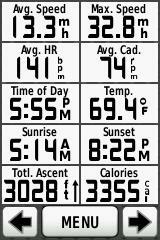 My actual ride time was 9 hours 55 minutes, for an average moving speed of just over 12.5 mph. 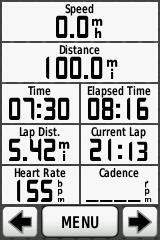 My overall average, including stops, was 10.7 mph. I had calculated when the controls would open and close had this been a real brevet or permanent, and I arrived at them on time. So although this ride was not an official event, it proved to me that I can do a 200K brevet within the time limits, on a hilly course in the Berkshires and their foothills. All told, I ate three Clif bars, half a package of Clif shot blocks, a turkey sandwich, a BLT, and that “kiddie” size creemee. I drank half a gallon of Gatorade, a 12-oz bottle of GUS soda, and five 24-oz water bottles. Aside from some minor indigestion, I felt fine, though in hindsight I should have eaten a little more in the first half of the ride. 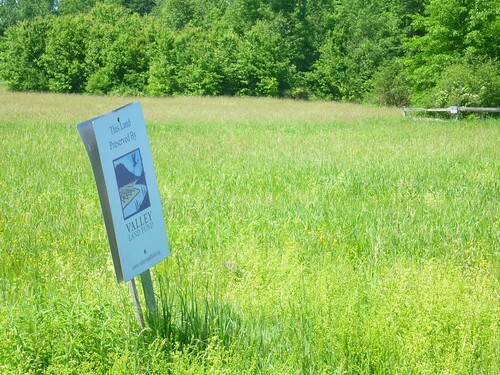 Had I done that, I might not have been so disheartened by that hill on Route 8A in Vermont…. I lost 2.5 pounds over the course of the ride, which means that I was eating and drinking enough not to get dehydrated. I gained them all back the next day as I recovered and rebuilt my muscle glycogen stores. In the short run, I decided that my other responsibilities, combined with lack of training (related to those responsibilities), preclude a 300K this Saturday. Otherwise, what next deserves its own post.